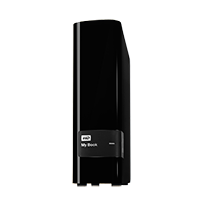 I have a Western Digital MY-Book with a 3TB harddrive and recently had a data recovery service on it by Data Clinic in London, who I can recommend. Windows could not detect it. Circuit board on the harddrive superhot. 2 faulty components detected on the card, and changed. Not detectable if attaced through My Book encryption card. So that card seems to be faulty to. Hard to find with that Rev. If the card is avaliable, by you, then hopefully I can save some data from the disk? My external My Book hard disk isn’t being read. It was dropped on the floor, and the best guess from the IT services of my university is that the disk spinning mechanism is broken. The light does come on when connected to the computers but the data isn’t accessible. Could you please let me know how much it would cost and how long it would take to recover the data from the disk? I accidently dropped my WD drive and now makes bleeping noise, will not load but light shows so power to drive is working, I believe the reading heads have gone faulty. I have a My Book WD external drive where I stored for years all my data on. Suddenly my Computers (apple) do not recognise the device. Checked the computers throughout. It is the USB-device. I think I need data recovery, I work as journalist and have ALL my data on this drive. pretty desperate.